Fortress Of Freedom Board :: View topic - "Life And Times" After Party! "Life And Times" After Party! Posted: Mon Jul 27, 2009 11:33 pm Post subject: "Life And Times" After Party! 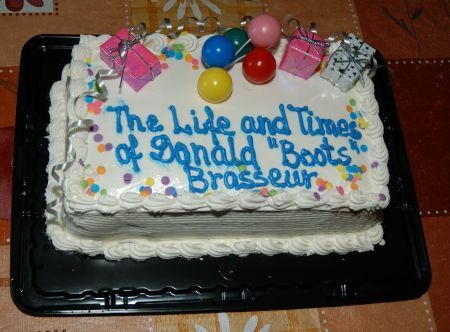 By Maurice Ali, Producer: "The Life And Ties Of Donald "Boots" Brasseur"
Yes the show was a success! I just finished making the rounds of several small "after parties" and I have a bank of pictures and video to put up here. There is a ton of people we have to thank that went into the making of this production but the moments after the show were for celebration! The first "after party" was for Don and the photos below are from that occasion. 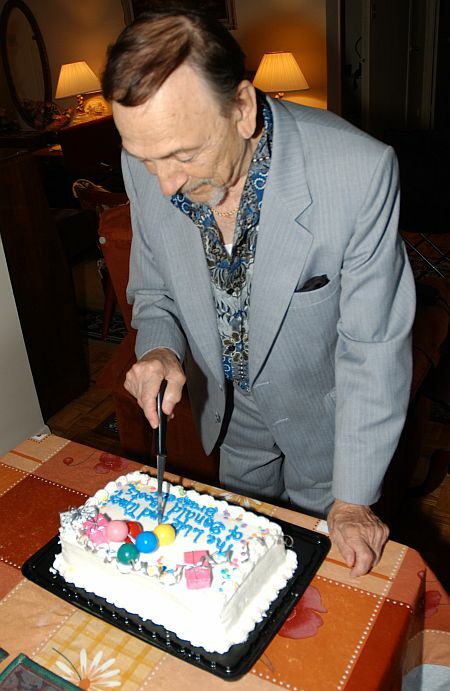 We even had a cake at the event, and Don had the honor of making the first cut! What follows below is a series of photos from that party! A cake for Don at the "After Party!" 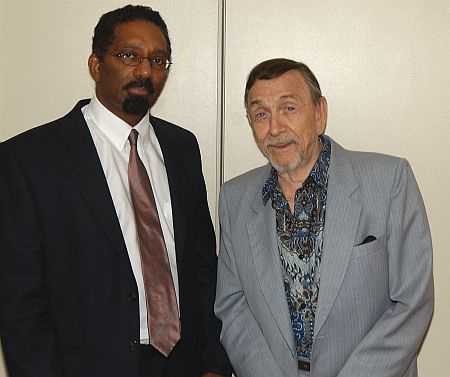 Maurice Ali (Producer of the program) with Donald Brasseur (right)! 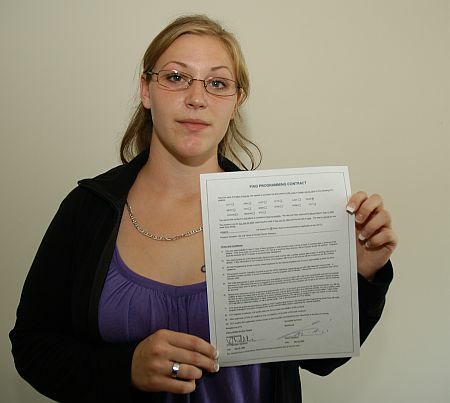 Ainsley (Hostess of the show) with the contract from CTV! 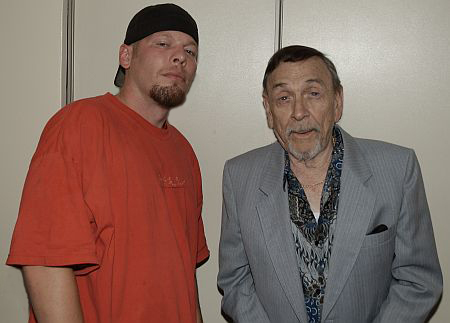 Shane Murphy (Manager at FOF Inc. - left) with Donald Brasseur! 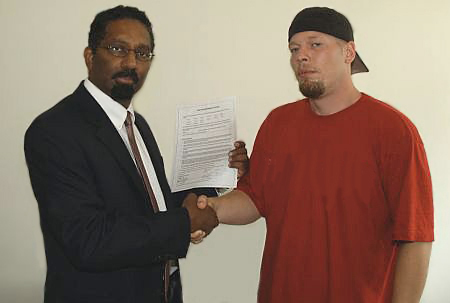 Maurice Ali with Shane Murphy holding the CTV contract! 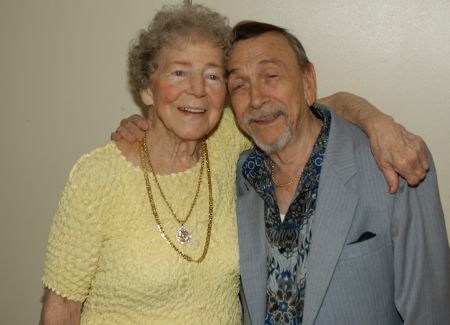 Don with his companion of many years: Rita! The biggest surprise of the party was walking in on people who caught the show by channel surfing, recognized Don and found him out through the directory and came to meet him! That was so totally "cool" for anyone who worked on the show. This production had reach and Don's unique life got the audience it deserved! Well done Donald "Boots" Brasseur!